Yesterday was still cold, so Caroline and I did craft projects. We made salt clay and did our hand prints and used cookie cutters to paint later. We made snow men out of cotton balls and glue. 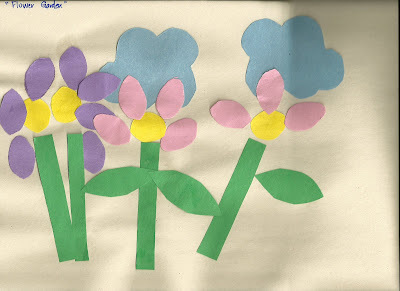 We made flower gardens out of construction paper. My favorite were here crayon portraits of the family. She is really blossoming in her artistic abilities (biased? me?). What a fun way to spend a day inside!